Emerson NJ Real Estate - Wonderful Rental! Emerson NJ Real Estate! Pascack Valley Real Estate! Delightfully Updated & Spacious Nantucket Colonial! 288 Lincoln Blvd in Emerson ($2,400!) boasts 2 full levels of living, with a huge 1st floor Master Bedroom with sitting area and an updated Eat-In Kitchen w/ French doors that lead to a large deck and fenced in rear yard. There are 2 Full Baths and 2 additional bedrooms. The large finished recreation room has a built in bar. With a dimensional roof, updated Windows and an easy commute to NYC, this home is just wonderful! Faces south for light & bright exposure! Great for both living & entertaining! Click here for more photos & information! Browse through more Emerson & Pascack Valley Real Estate! Pascack Valley Real Estate – Woodcliff Lake NJ Market Report! Woodcliff Lake, New Jersey (located in the Pascack Valley region of Bergen County) saw the sale of 4 homes during November of 2012. The average List Price was $711,713. The average Sold Price was $636,250. The median Sold Price was $600,000. On average, homes that sold in Woodcliff Lake during Nov 2012 sold for 89.397% of the List Price. 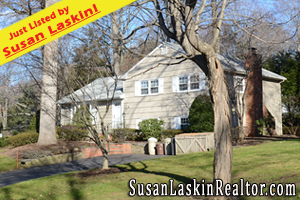 In addition, there were 5 Woodcliff Lake homes on the market at the end of Nov 2012. Their average List Price was $650,360. Learn more about the town of Woodcliff Lake, New Jersey! Browse through some local Woodcliff Lake & Pascack Valley homes for sale! River Vale Real Estate - Updated Split Level! River Vale Real Estate! 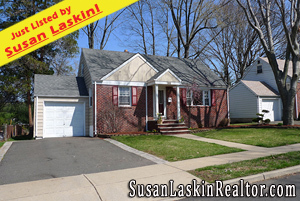 Bergen County Real Estate! Inside you find a Center Island Kitchen w/ skylights & wood cabinetry, a Dining Room w/ skylight & beautiful bay window and an inviting & large Living Room. Powder Room off Kitchen. Main Level Laundry Room off Kitchen. Lower level large Family Room w/ brick Fireplace and Full Bath w/ stall shower). Master Bedroom w/ new carpeting..2 additional bedrooms..Full Main Bath..Central Air Conditioning..3 zone BaseBoard Hot Water Heat..Recessed lighting..2 Skylights..Inviting Deck off Kitchen..Top Rated Schools..Easy NYC Commute by Car, Bus and Rail. Welcome to the exceptional township of River Vale!! Looking for more River Vale NJ Real Estate? Browse my Feature Homes! Some incredible listings across the wonderful Bergen County towns! 6 Linda Place in Emerson ($468,950!) is an absolutely wonderful Nantucket Colonial updated inside and out..Crown Moldings..Incredible EIK with granite Counters..beautiful wood cabinetry..newer appliances.. recessed lighting..and a picture window overlooking an incredible rear yard..with patio..and in inground pool with a 3 year new liner..huge rear yard offers opportunity for recreation, and an amazing life style..Lots of Hardwood floors..Living Room with Fireplace, hardwood floors, crown molding & a large bay window..Formal Dining Room..3 Spacious Bedrooms..2 Full Baths..Large finished recreation room in Basement..one car garage..
Beautiful residential side street..Light and bright..faces East..So many updates! !6 panel doors..paver walkway..Leaded glass front door..Beautiful Vinyl Siding..Close to pictuesque town center & NYC bus and rail..Excellent Schools..INCREDIBLE LIFE STYLE!!! Looking for more Emerson NJ Real Estate? Browse through my Feature Homes! Some spectacular listings across the wonderful Bergen County towns! 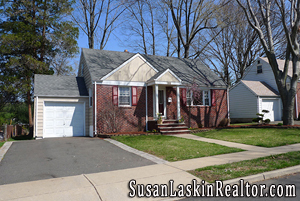 Emerson NJ Real Estate - Updated & Enticing! 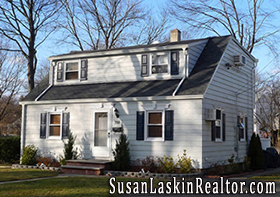 288 Lincoln Blvd in Emerson ($429,950!) is a an updated, spacious & delightful Nantucket Colonial that boasts a large Formal Living Room w/ hardwood floors & large picture window, a huge Master Bedroom w/ sitting area and an updated Eat-In Kitchen w/ French doors that open to the large deck & immense rear yard. There are 3 full levels of living, with 2 additional bedrooms, 2 full baths, and a finished recreation room w/ a built in bar. Updated window, central A/C, and so many updates! Great for living & entertaining! Take a Virtual Tour of this home! Click here for more information! Learn more about Emerson, New Jersey! My Feature Homes! - Some incredible listings across wonderful Bergen County, NJ towns! Young & Upscale River Vale Colonial! River Vale NJ Real Estate! 538 Alosio Drive in River Vale ($689,950!) is a young & upscale Colonial that boasts a 2 story Entry Foyer, Family Room w/ fireplace, Formal Dining Room, Formal Living Room, and an Eat in Kitchen w/ breakfast room that overlooks the multi level deck and the picturesque rear yard. The Master Suite has 2 walk-in closets, a Palladian Window, a huge Cathedral Ceiling and a Master Bath that comes complete with vaulted ceiling & skylight, tub & stall shower! 3 additional spacious bedrooms, two full baths, a finished walk up w/ three additional bonus room and huge basement w/ built in wet bar! This home is a find! Take a Virtual Tour of this home! Browse through all my Feature Homes! River Vale Center Hall Colonial w/ Lots of Goodies!! Located in the wonderful town of River Vale, New Jersey! ($449,950!) Large living room/sitting room combo w/ exquisite hardwood floors & sliding glass doors that open to the wonderful deck & rear yard! Formal Dining Room opens to the Eat In Kitchen. 3 spacious bedrooms upstairs - the Master w/ architechtural ceilings & hardwood floors. Upstairs bath is stunning w/ undermount sink, oversized vanity & more! Learn more about this home! Take a Virtual Tour! 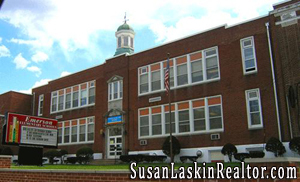 Learn more about River Vale, New Jersey! Browse through my Featured Listings! Some incredible homes across River Vale & other magnificent Bergen County towns! 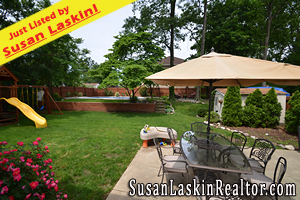 Monthly Market Reports from Susan Laskin, Your Bergen County NJ Realtor! Park Ridge NJ Real Estate - A Look at February 2010! Park Ridge, New Jersey saw the sale of 6 homes during February of this year. The averaeg List Price was $438,967. The average Sold Price was $407,125. The median Sold Price was $395,125. On average, homes that sold in Park Ridge, NJ during Feb 2010 sold for 92.75% of the List Price. In addition, there were 4 Park Ridge homes Under Contract at the end of Feb 2010. Their average List Price was $525,950. Learn more about Park Ridge, NJ Real Estate! Browse through my Featured Listings! Some spectacular homes across Park Ridge & other wonderful Bergen County towns! Emerson NJ Market Report - A Look At July 2009! Emerson, New Jersey saw the sale of 5 homes during July 2009. The average List Price was $406,380. The average Sold Price was $373,600. The median Sold Price was $388,000. On average, homes that sold in Emerson NJ during July 2009 sold for 91.93% of the List Price. In addition, there were 5 homes under contract in Emerson at the end of July 2009. Compare these numbers to what happened last month! View my Featured Emerson & Bergen County, New Jersey Homes here! Lovely Colonial in Park Ridge NJ! - Colonial Cape set on a deep, sumptuous property! Do Trees Help Sell Your Home? - Just one of the many topics in my latest Real Estate Newsletter! River Vale, New Jersey! - An Incredible Place to Call Home! Historic Colonial in Park Ridge, New Jersey! - Boasting Historic Elegance!